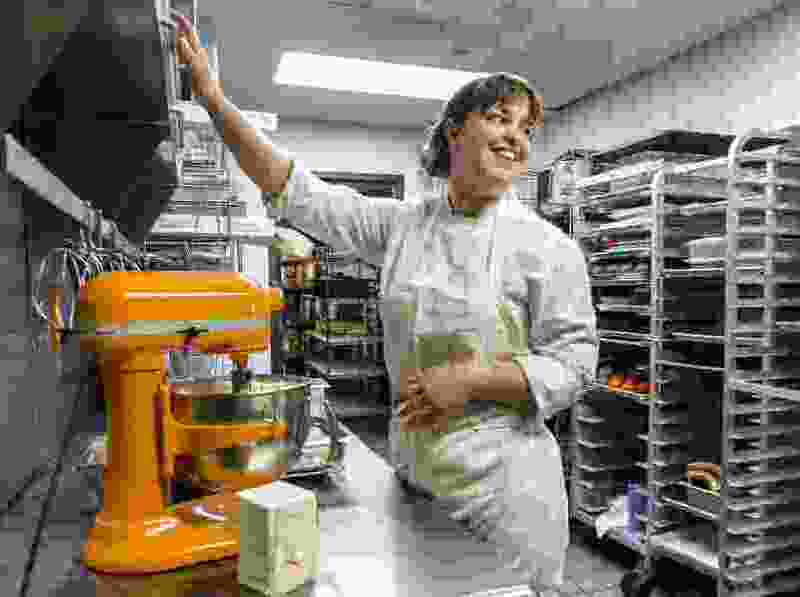 (Leah Hogsten | The Salt Lake Tribune) Pastry chef Kristina Fox whips up a batch of frosting to top the sheet of carrot cake she made earlier from scratch at O.C. Tanner's company restaurant, Trebo, Oct. 19, 2018. O.C. Tanner is keeping their employees comforted through their stomachs. Trebo, an on-site restaurant that serves hearty breakfasts and lunches made from scratch and serves snacks and free drinks all day.